Andrew Luck looks like a higher power was playing an RPG and at the build character screen he put all his points into intelligence and physical tools, giving no points to charisma or looks. His voice sounds like Hodor in a washing machine, his smile is terrifying, and when he grows out his neck-beard he might very well be the ugliest QB I have ever seen. He looks okay shaved, but goddamn, with that beard he looks like a homeless fedora wearing nerd who’d say M’Lady and wonder why no one wants to date him. Of course, he has money and fame, so lots of people would date him. Damn good at football though. Shame about that Richardson fella. Though he seemed to be doing better as of late. Andrew Luck: proving the NFL is so easy, even a caveman could do it. There’s something I find endearing about Andrew Luck’s seeming to be completely devoid of personality. It’s like he just wants to play football and really couldn’t care less about any of the outside stuff. As much as I like Russell Wilson, he seems to be everywhere nowadays. Luck remains this bastion of boring – except on the field where he is anything but. Hell, even Peyton Manning who seems mostly to be a football playing robot (with a loosely screwed on laser rocket arm at this point) looks like a party animal compared to Luck. 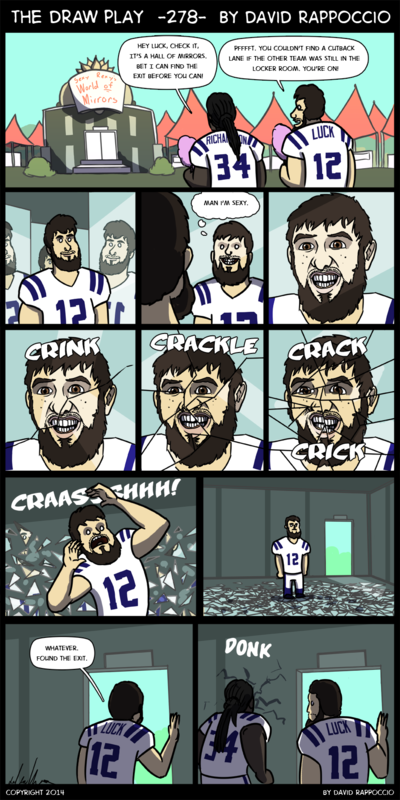 I for one appreciate Andrew Luck’s ugliness and weirdness. It’s nice to know that in the world of pretty man Tom Brady, shrewd businessman Peyton Manning, and guy-that’s-probably-pretty-much-a-dumb-frat-guy Ben Roethlisberger, there’s Andrew Luck, a geeky engineering major from Stanford with an unattractive face who’s just really good at football and looks like he’s having a ton of fun instead of treating it deadly serious. Yeah Luck definitely wasn’t lucky when it comes to the looks department. But maybe it’s because he was so blessed in every other department that it doesn’t matter. I’d go for him even though he looks like he was beaten with the ugly stick ten times over and I know plenty of women who would too-one is even madly obsessed and infatuated with him and she’s an Eagles fan. All those broken mirrors probably mean a lot of bad LUCK! 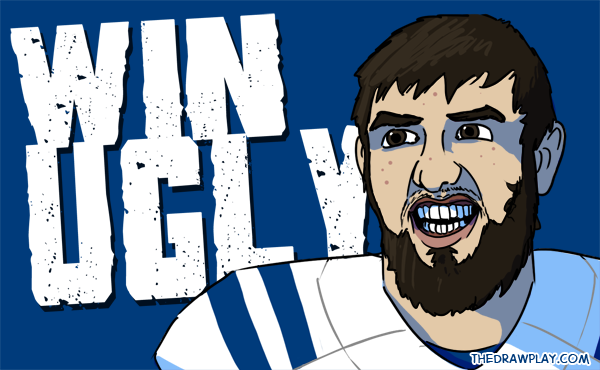 You’re saying Luck is uglier than Ser Neckbeard of Buffalo, who doubles as a hapless Dave Grohl impersonator? Not sure I agree with you a hundred percent on your police work, there, Lou. Totally called Richardson being this bad again. 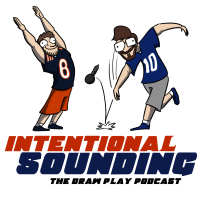 It’s why I spent my last pick on Bradshaw.